Thermostats are electro-mechanical switches that provide on/off control of key components based on temperature. Thermostats offer a wide range of control possibilities from freeze protection to motor cycling to temperature control. 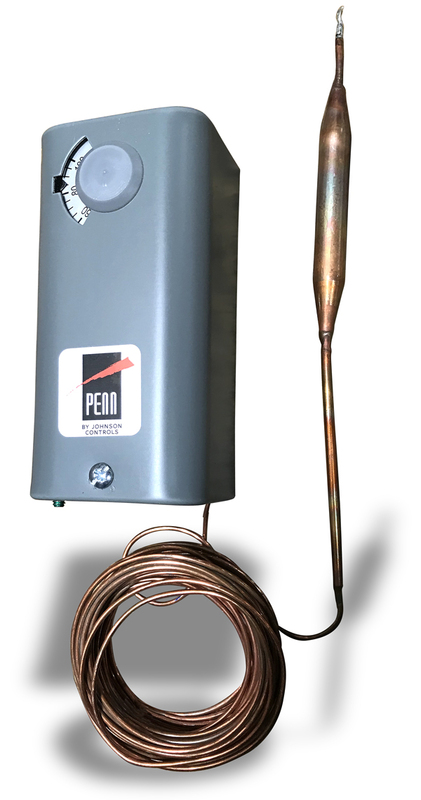 Thermostats are found on selected models of Advantage temperature controllers, portable chillers and pump tanks. A thermostat is constructed of two major components: a sensing element and switching mechanism. The sensing element is composed of a bulb filled with an freon based gas. It is known that since the volume of gas is held constant, the pressure exerted by the gas is directly proportional to its absolute temperature. When the sensing element is inserted into a fluid, the absolute temperature of the gas will equal that of the fluid. If the temperature rises or falls, the pressure within the bulb will rise or fall as well. Thermostats can be applied to a variety of uses. Although sensitive to +/- 1°, caution must be taken not to pinch or bend the bulb. This will change the volume of gas and distort the pressure and temperature coefficient. One application of thermostats is for freeze protection. To achieve this, the thermostat is wired into the compressor control circuit. Since untreated water freezes at 32°F, to offer a safety margin, the thermostat is set at 38°F. If the water temperature falls to 38°F, the thermostat will stop the compressor before freezing occurs. Thermostats used in this application are known as 'freezestats'. 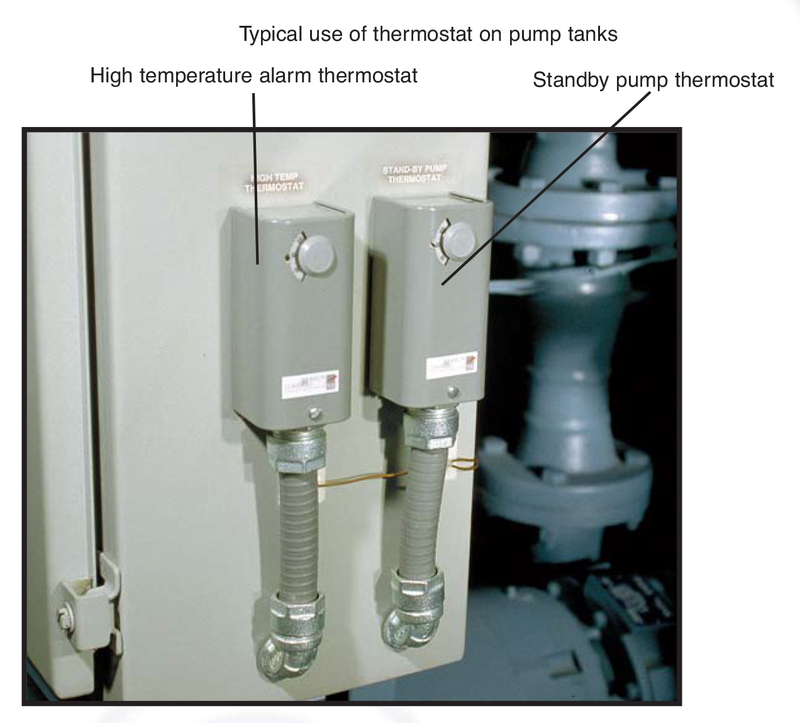 On Pump Tank Stations (TTK, PTS, CPTS) ... thermostats are used to cycle the tower fan motor, tower and tower standby pumps and high temperature alarms. On Central Chillers (Titan, APT, WPT) ... thermostats are used to signal high temperature alarms. For more information about thermostats call the Advantage Sales Department at 317-887-0729. Would you like to Download FYI #158 to your browser?